Tesla’s highly-anticipated launch of its brand new Model 3 has the world buzzing. More broadly, Tesla is driving towards an entirely different energy future that is built on better energy storage. The Tesla effect has the potential to shift how the world thinks about energy and, therefore, could affect the values of key raw materials required for an energy-efficient future. In a throwback to Ford’s historic launch of the Model T in 1908, Tesla’s Model 3 launch could potentially repeat the feat of revolutionising how people get around and transforming mass transport in the 21st Century, the same way Ford’s Model T did in the 20th Century. It would appear the automotive industry has reached a watershed moment. 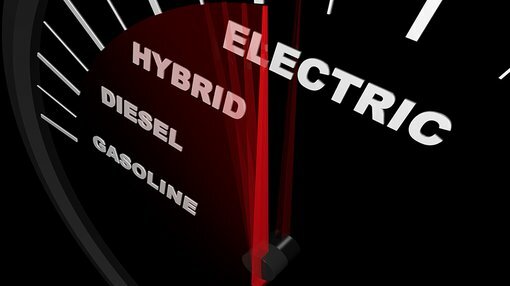 Up until now, electric cars were seen as novelties struggling for mass adoption because of lengthy charging cycles, low range of travel and overpriced compared to standard petrol cars. 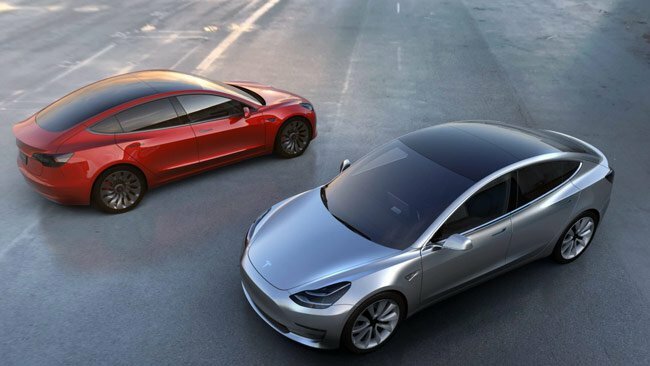 Tesla is making such concerns seem outdated as pre-orders of the Model 3 have already reached 285,000 in the first few days since launch – fast outpacing sales of all other cars electric or otherwise. Tesla’s aggressive business model and cutting-edge battery technology appears to have cracked the code of marketing electric cars to the mainstream public. Tesla has received nearly as many Model 3 reservations in the past several days as some automakers produce in a single year. The best-selling car in the US in 2015 was the Toyota Camri and Corolla models which racked up 361,111 and 306,693 sales respectively. 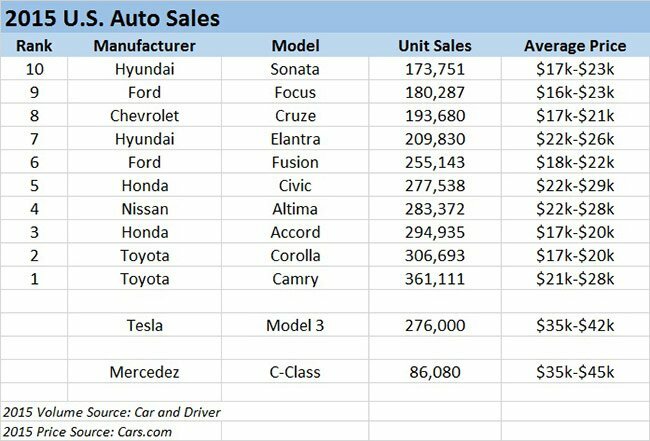 Tesla’s Model 3 is likely to exceed these numbers in the coming months and therefore become the best selling car in the US – despite being almost double in price compared to the top 5 cars sold in the US. In other words, Tesla has convinced people that it’s worthwhile to part with significantly more money for a Model 3 than it is to opt for a combustion car that’s much cheaper. Convincing staunch EV aficionados is one thing, but Tesla’s glitzy PR engine has now moved the company into economies of scale and mass commercialisation with consumers. At the current time, EVs have penetrated less than 1% of the US auto market although higher take-up has been recorded in parts of Europe such as Scandinavia, the Netherlands and Iceland. 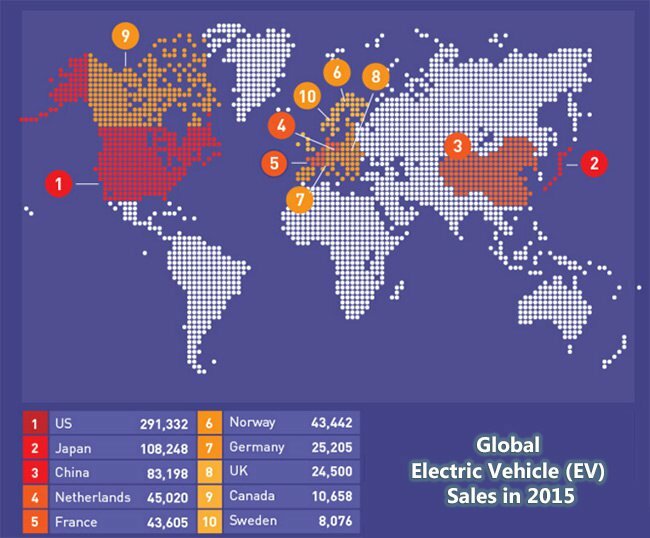 The global leader in the take-up of EVs is Norway, seeing EVs claim 14% of all new vehicles sold last year. The knock-on effect of this socio-economic consciousness shift is that the raw materials Tesla needs to manufacture it’s 500,000+ cars each year, are expected to suffer shortages given current production levels. While Tesla hauled in almost $1 billion in pre-order sales in the space of a few days, the outlook for how Tesla will make good on its supply commitments is still clouded. In order to manufacture 300,000+ Model 3’s and keep with existing production of the Model S and Model X, Tesla will most likely need to increase production by even more than previously thought. Meanwhile, the global hype about graphite and lithium demand continues to buzz. As Tesla’s plans of producing over 500,000 cars gradually come to fruition, the impact on graphite and lithium markets is estimated to be significant to say the least. The effect of Tesla’s ambitions on the graphite and lithium markets has already been been felt as both Graphite and Lithium exploration have spiked with an entire host of exploration companies rising up to meet the supply gap created by Tesla’s gargantuan demand for the two resources. 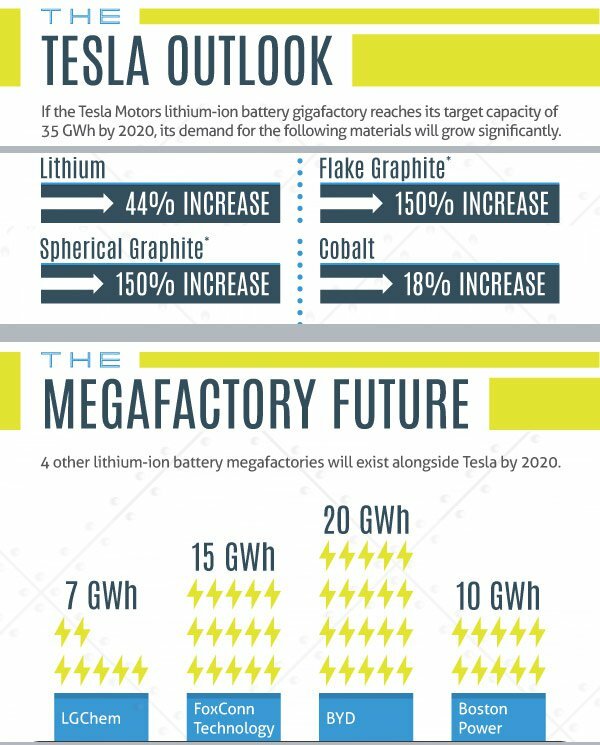 Benchmark Intelligence estimates that Tesla will require about 25,000 tonnes per year of lithium (6% of global supply), 112,500 tonnes per year of flake graphite, 45,000 tonnes per year of spherical graphite (28% of global supply) and 7000 tonnes of cobalt per year (7% of global supply) if it reaches its target capacity of 35 GWh by 2020. In fact, Lithium prices are expected to rise 20% by 2017 on demand for electric cars alone, and have started ascending earlier this year. If the world’s energy is going to be stored in lithium-ion batteries as standard across consumers, businesses and car drivers, then the likely demand for lithium (and graphite) is likely to rapidly outpace supply. Technological innovations may be needed to ensure Tesla’s own innovations become reality. Lithium Australia could potentially solve the entire supply gap in one revolutionary step through technology developed in Australia over the past two years – dubbed SiLeach. The SiLeach process allows for lithium to be extracted from spodumene deposits previously considered too expensive to extract. SiLeach involves a zero-energy process using sulphuric acid to strip lithium hydroxide from discarded lithium micas as part of resource exploration. LIT’s MD Adrian Griffin spoke to Finfeed.com last year to explain the status-quo in lithium supply and how Tesla fits in to the future of lithium production. Some other ASX companies likely to be affected by this week’s Tesla news include Caeneus Resources (ASX:CAD), having just acquired a lithium project in Nevada adjacent to Tesla’s gigafactory. From the graphite crop of explorers, Volt Resources (ASX:VRC) and Black Rock Mining (ASX:BKT) are two small-cap explorers with high-grade graphite projects progressing in East Africa. Australia’s largest graphite JORC Resource belongs to Archer Exploration (ASX:AXE). 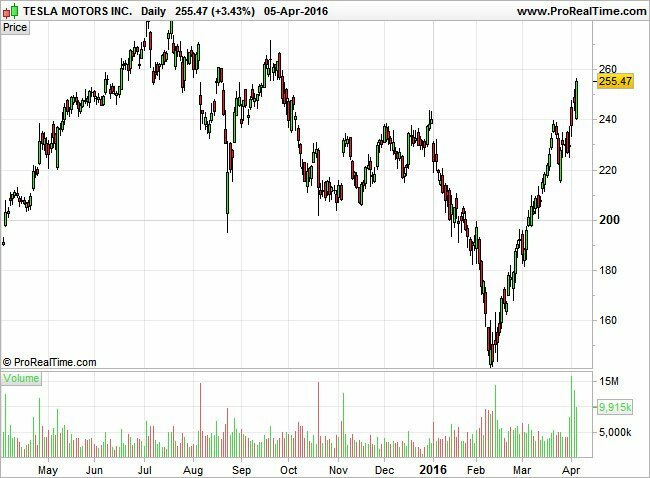 The effect on Tesla’s share price has been supportive despite the company’s tribulations with costs and overheads. Since Tesla’s announcement over the weekend, its shares have risen 4% and 20% higher since March’s low of $215 per share. Tesla and the energy storage revolution is pushing the entire automotive world across the rubicon from combustion to electric, and the ripples will be felt in lithium and graphite exploration first and foremost. Lithium and graphite explorers are likely to be smiling this week considering the pent up demand for the two battery-dwelling resources is likely to continue rising for years to come.